Every investor’s or trader’s financial adventures eventually boil down to a story of ‘learn or perish’. In my previous article I summarized my roller coaster experience in the stock market and how I started learning from my mistakes, which in my case had dire consequences. In it, I explained how, in essence, traders and investors should focus on where they are in control: selling their losses and buying more of their winners. Instead of losing too much time finding out what tomorrow’s winners might be. Something where far less, if any, control is to be found. When we open a position we don’t know its future, but at any time we can choose to close it (or not) based on its history. We have total control over our own buying and selling. Making it very easy to sell losers and buy more of the winners. In fact buying and selling is the only way we can interact with the stock market. Consequently these atomic actions are of special interest to us when looking for money in the markets. Giving a valid order to your bank or broker, implies pinning down how much of what stock or equity you want to buy or sell and optionally when it reaches a certain price (called the stop price) and equally optionally at what price limit (what the maximum is you want to pay when buying or the minimum you want to get when selling). As an example: you may put in an order to buy a 100 shares of GOOG (that’s google) as soon as it reaches $705 (that’s the stop) and be willing to pay at most $709 per share (that’s the limit). Hence the anatomy of an order dictates selection (what), timing (when) and the size of the position. I’m going to stay away from timing and selection for now, exactly because I already showed that analysis isn’t the part where we seem to have most of the control. We can’t analyze our way into predicting the future. But I’ll return on the matter in later articles and explain how analysis can be useful up to a certain point. Let’s first address the impact of order size. Before looking at what happened to our guinea pigs, a word of caution. We definitely cannot model the stock market with a coin toss, or any other game of chance for that matter. First of all, in financial markets, chances of winning or losing are far from constant, let alone predictable. Secondly, no one ever can make us put on the same bet size each time we play (no pun here) the stock market. But this thought experiment doesn’t claim such things. It merely offers us insight into the impact of, if any, the size of bets or orders, all other things remaining equal. As far as the random sequence is concerned, it’s just one of the possible many, telling the same story. Take a look at our players’ faith. What do you see? Think about it for a minute before reading on. For starters, betting size and hence position size, turns out to have an impact not only on the trajectory (call it volatility) but also on the final outcome. From that we take that it’s clearly possible to risk too much. But, as it seems, investing to little seems to be an issue just as well! We are the only ones in control when it comes too how much we put on the line. You may have noticed above how I talked about ‘risking’, when it came down to having too much of it, while sneaking in ‘investing’ when mentioning that too little is problematic just as well. In the next article/blog I’ll go into the difference between what we invest and what we risk and how both are not just the same thing. I’ll also start tackling the quantitative side of these findings. Always remember that we’re looking for where control is to be found in the investment process and it’s outcome: our returns. The previous article might ring a bell here. Sticking to our losers is a clear example of risking too much. Not buying more of the winners might be an example of investing too little. Going back to the coin toss example. This is a game with a clear positive expectancy. Since we know that on average for every heads a tail will come up, we will, again on average, win twice as much as we lose. This is a golden deal. However even a sure thing can be ruined by betting too much. Take, as an example, the extreme of putting everything on the line each time and the very next loss will wipe you out. And with it the potential and certainty of a game you should have won with your eyes closed. Size at work here. I have to repress my inner engineer not to proof to you that there’s also an optimal betting size for the coin toss example, being 25%. This is not important here. Except for my included warning that you should probably ignore almost anything you read about applying optimal betting fractions and expectancy to the stock market. Most of it is dead wrong, potentially dangerous and based on their application to betting games. The stock market isn’t a true betting game, since win/loss probabilities are unknown and very unlikely to be constant. 1) Aim for he little control you have in investing by cutting losers and buying more of your winners. 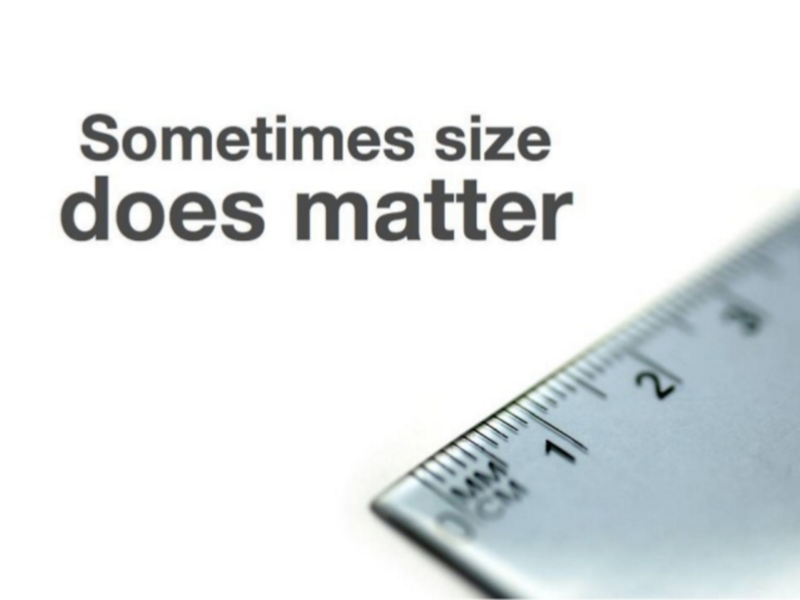 2) Size does matter. We’ll go further into that next time. Favor risk management and sizing your positions right, over analysis. Because that’s where the control lies. Sometimes the term money management is coined in regard to this.